Several ISGMH faculty and postdoctoral research fellows recently presented at an Out Network Lunch and Learn titled “New Faculty and Fellow LGBT Health Research at Northwestern.” Drs. Brian Feinstein, Ashley Kraus, Dennis Li, Kathryn Macapagal, and Ethan Morgan each gave individual presentations sharing their recent research with LGBT Northwestern faculty and staff. Presentations included insights and results from multiple ISGMH projects including SMART project, Looking, RADAR, and emerging bisexuality and women’s health work. 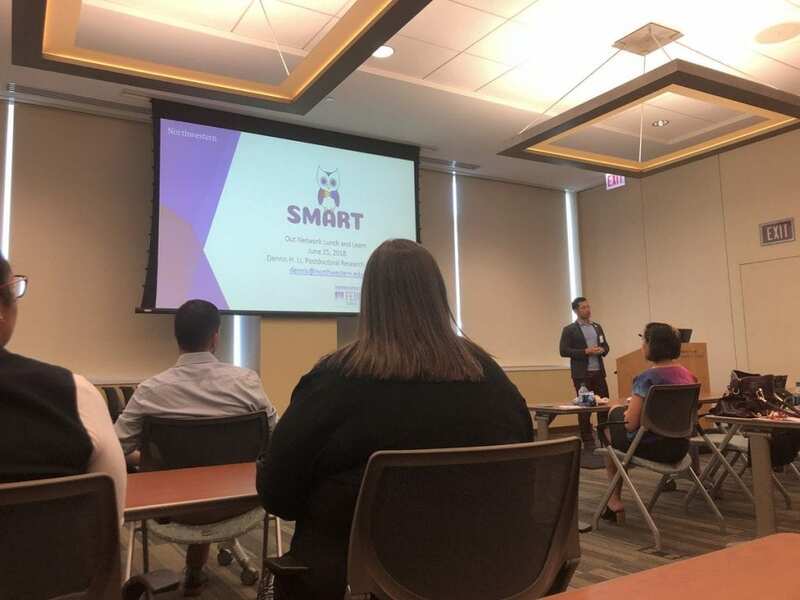 Dr. Dennis Li presenting on the SMART project at the “New Faculty and Fellow LGBT Health Research at Northwestern” Lunch and Learn.